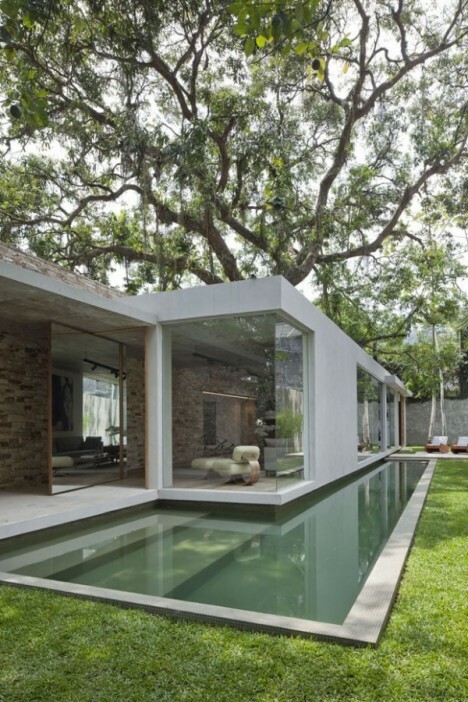 Tree houses aren’t just rustic wooden huts slapped together around a living trunk – they also come in the form of elegant modern residences incorporating the forest into their design, whether by building around existing trees or integrating them right into the floor plan. 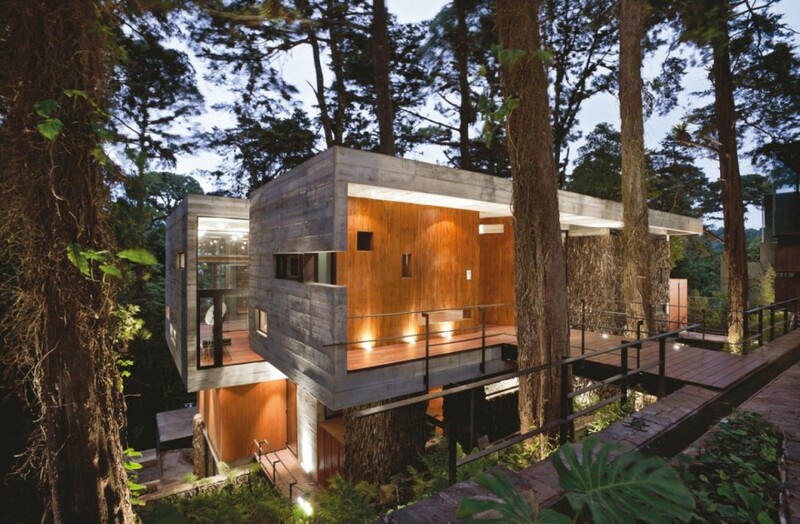 These 14 modern tree house designs blend into their forest environments and make vegetal views top priority. 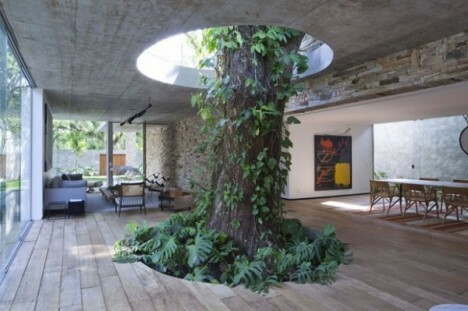 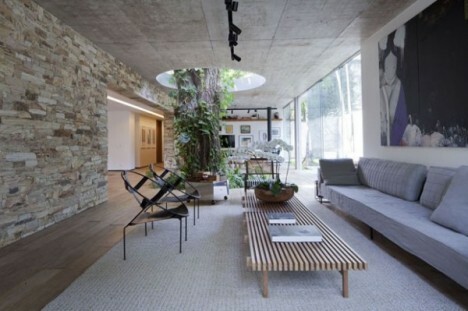 A tree called ‘Bethany’ is the centerpiece of this home in Rio de Janeiro, Brazil, passing through a three-meter hole in the floor slab and up through the ceiling of the living room. 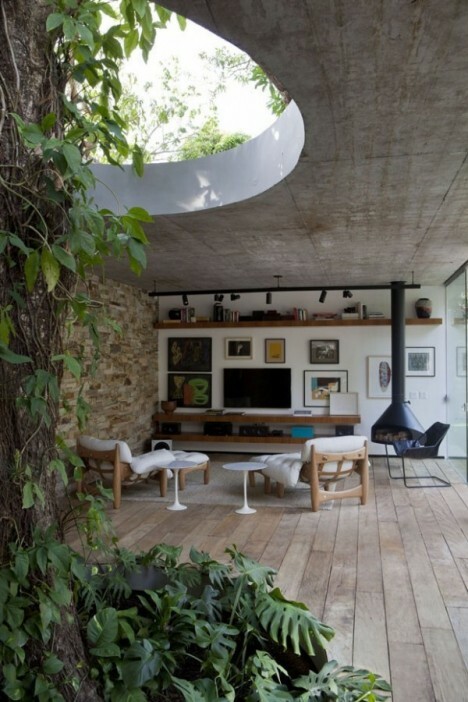 Casa Vogue by architect Alessandro Sartore also accommodates a second tree in the garage, keeping as much of the original landscape intact as possible and bringing the natural landscape indoors. 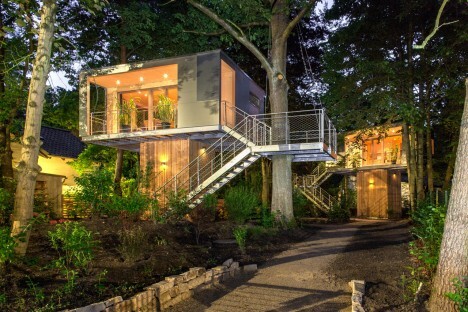 German architecture firm Baumraum is responsible for many of the world’s coolest modern treehouses, including a pair in Berlin that function as a mini-hotel. 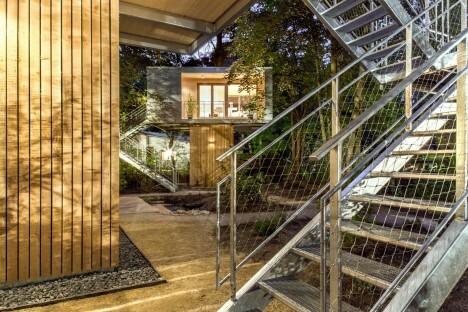 The Urban Treehouse preserves the trees on a 650-square-meter privately owned wooded property within the city limits, integrating nature and architecture. 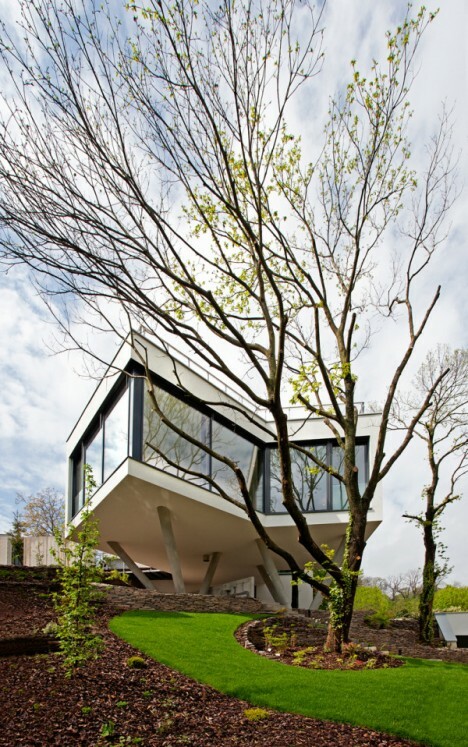 The design of ‘Between the Trees’ by Sebo-Lichy mimics the look of natural tree trunk supports, elevating a portion of the home to work with the steep terrain. 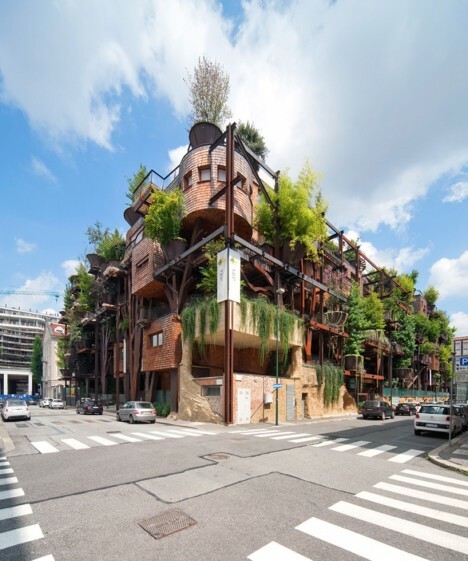 It’s built around three chestnut trees and overlooks a forest, with floor-to-ceiling windows and a rooftop terrace blurring the lines between outdoors and in. 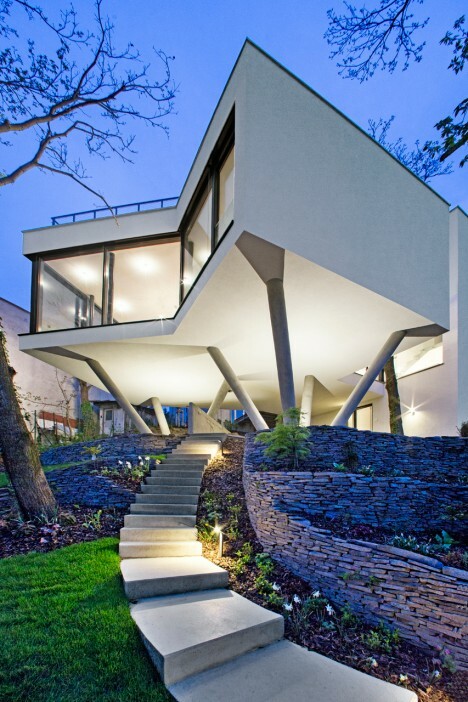 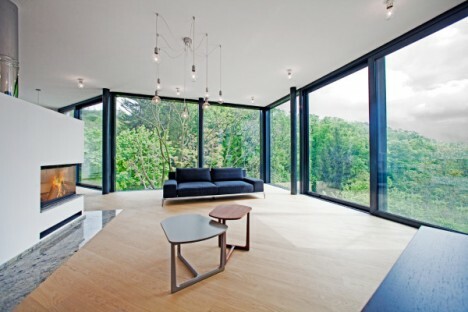 The house was inspired by Mies van der Rohe’s famous Tugendhat Villa in Czech Republic. 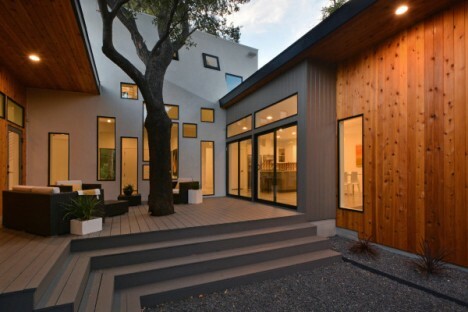 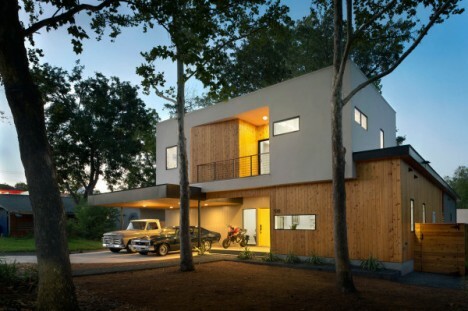 This entire Austin home was essentially designed around views of trees in the front yard and on the back terrace. 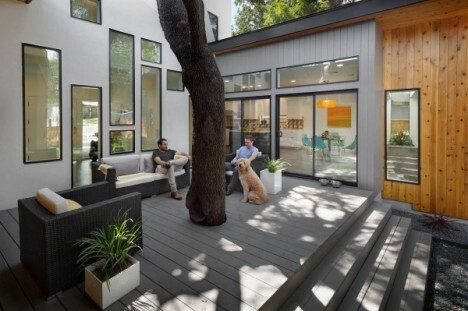 Each of the rooms of the house by MF Architecture look out onto the oak in the backyard, which shelters the entire outdoor area. 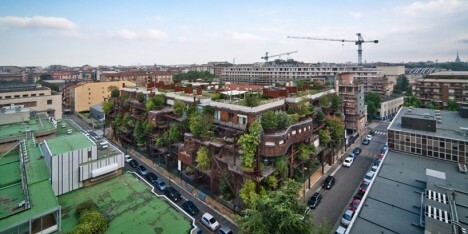 The last place you’d expect to find a treehouse is in the middle of an urban Italian city – let alone an entire apartment building planted with dozens of trees on every level. 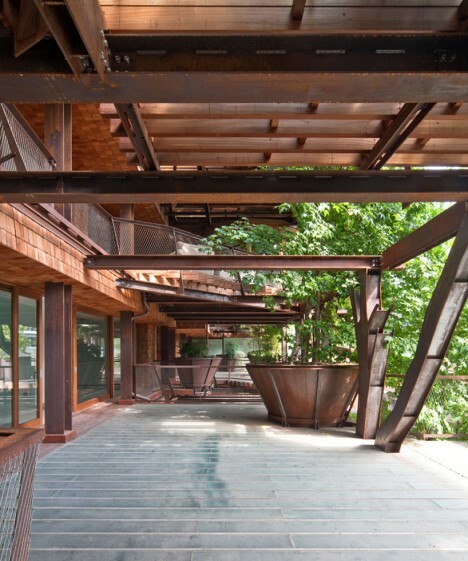 25 Verde by Luciano Pia has a load-bearing steel structure shaped like tree trunks as its base, with 63 wooden-shingled dwellings staggered around 50 trees. 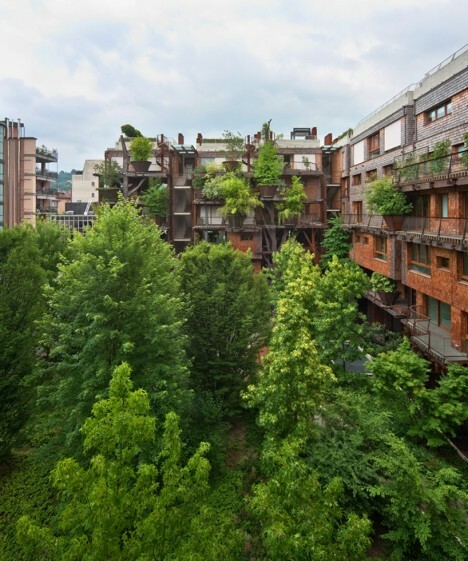 In addition to looking really cool, the trees help reduce air and noise pollution for the residents.